If you keep on doing what you�re doing, you�re likely to keep on getting what you�re getting. If you do nothing, nothing will happen. If you do something, something may happen. Here�s how to do �something� so you won�t keep on getting what you�re getting! Raymon Grace, mountain man, dowser, healer, and font of folk wisdom, has written a book filled with down-home stories of what happens when real people use their personal power to heal themselves and take charge of their lives. 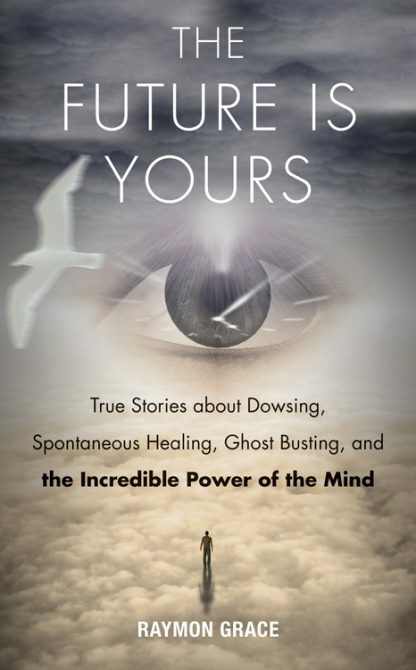 Included here are stories of spontaneous healings, space clearing, the amazing powers of the pendulum, dowsing, energy raising, exorcism, and tapping into the power of spirit guides. Grace inspires readers to imagine the seemingly impossible, to harness the power of the mind, and to open themselves to a world of endless possibilities. You don�t need academic degrees, expensive equipment, or spiritual credentials. All you need is a willingness to learn the simple principles and put the techniques to use. This book shows you how to change your life. Raymon Grace is a native of the Appalachian Mountains of Virginia and has been studying forms of healing since 1973. Raymon is founder and president of Raymon Grace Foundation, and has taken dowsing to new heights, empowering individuals to gain more control of their lives. He lectures across North America, speaking to a wide variety of audiences. His work has been used in at least 10 countries to improve water quality, reduce violence in schools, communities and to eliminate abuse of women and children.